Why wait for the reborn Bronco to arrive when there's this? Americans caught the SUV love bug over half a century ago and Ford took notice. Of course, those early SUVs were not anywhere near their present-day ancestors in terms of luxury and overall refinement, but they were still highly capable off-roaders that not only appealed to farmers but to suburbia as well. Ford product manager Donald Frey, who also came up with the idea for an affordable convertible "secretary’s car”, aka the Mustang, once again saw a new market niche. 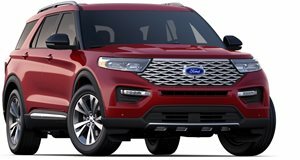 He thought Ford needed to have something to fight against the likes of the International Harvester Scout and Jeep CJ-5. The first-generation Ford Bronco was the result. To its credit, Ford didn’t utilize an existing platform but rather built a new chassis specifically for the Bronco. It was also a fairly simple setup: four-wheel drive, shift-on-the-fly transfer case, and a 105-hp inline-six engine paired to a three-speed manual. Even the exterior design was designed to be simple. It all worked out beautifully. The first generation Bronco became an instant success, and the competition was quickly forced to respond with the likes of the Chevrolet Blazer, International Scout II, and Jeep Cherokee. All of those early SUVs and the Bronco represented the first shift from rugged and utilitarian vehicles to slightly more user-friendly ones. It was the start of a trend that has resulted in in the modern day SUV. Ford continued to develop the Bronco immediately after its first model year of 1965. For example, additional body styles became available, the two-door wagon, half cab pickup, and an open-body roadster. The latter in particular found a following amongst surfer beach dwellers. Additional engines were also launched, including another inline-six, and variants of the Windsor V8. Some Bronco owners even began modifying their SUVs for off-road racing, including the grueling Baja 1,000. The original Bronco was popular enough to warrant it a long 11-year lifetime. Its second-generation successor, launched in 1977, only survived until 1979. The third-gen Bronco came for 1980 and it was desperately needed due to the gasoline crisis that caused prices to spike. Ford returned to the first-gen Bronco’s roots by designing a shorter, lighter, and more efficient vehicle than its immediate predecessor. The Bronco remained in production until 1996, when the fifth-gen was discontinued. 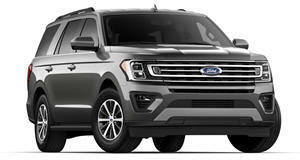 By this time Americans’ SUV tastes had evolved and they now preferred something a bit easier to live with on a daily basis, and the Ford Explorer fit the bill perfectly. 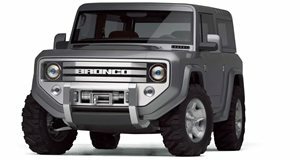 But as we all know, the Bronco is slated to make its triumphant return next year and based on the most recent reports, it’ll pay tribute to the first-gen in many ways. We can hardly wait. For those who can’t and prefer something vintage, there’s this 1968 Ford Bronco up for sale on Craigslist. Its Los Angeles-based seller says it’s been their beach cruiser for the past few years and constantly receives plenty of thumbs up. Under its hood lies the 289 cubic inch 4.7-liter Windsor V8 with the three-speed manual. Other features include power steering, drum brakes, 15-inch wheels, rear tow hitch rollbar, a rhino liner for the entire cab, and a 6-speaker stereo with a subwoofer. It’ll turn the most heads thanks to its Corvette yellow paint job and bikini top. Total mileage isn’t provided. Overall, this ’68 Bronco looks to be in pretty good shape but its $30,000 asking price (or best offer) does seem kind of steep. Then again, several first-generation Broncos have recently sold for fairly large sums, so we wouldn't be surprised if someone paid that much for this example.